Please note that this feature is available as a Beta release and will have more enhancements in the future versions. Customizing the email template allows the option of modifying color, typefaces, text, email signature and adding the logo or other brand-related images in header and footer (images need to be hosted in an external server or any image-hosting site). Please note that a new email template can be created by an administrator and defined to be used in the Report Scheduler Settings page as the default template (Solutions > Report Scheduler > Settings > Email Template). At the same time, each user can create their own email template and override the default template (select email template lookup when scheduling a report). 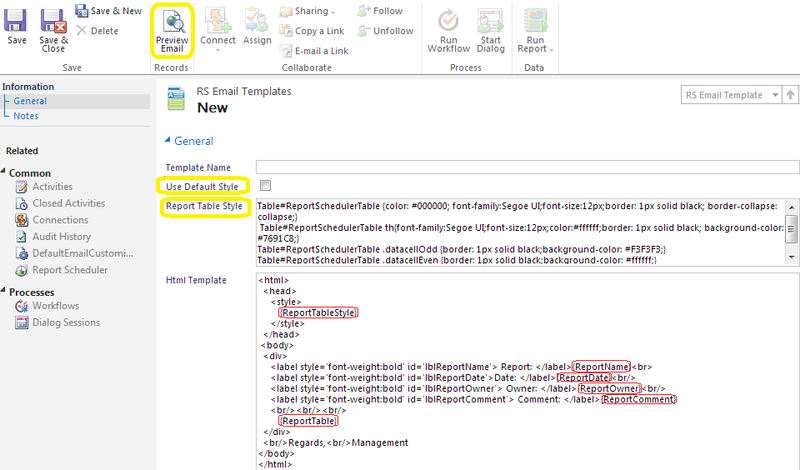 To create a new email template: Browse to Extensions > RS Event Template and click New. The form loads with the default template HTML already filled in. 1. Preview Email button: On clicking this button: an HTML preview of the template will be shown. Please note this is not the actual output but should be used only as a reference output. (this is because most email solutions behave differently when it comes to rendering). 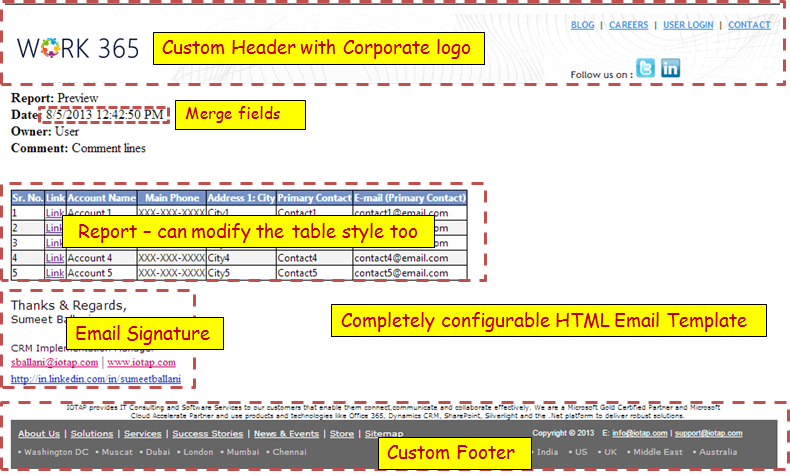 Designing an HTML email that renders consistently across the major email clients can be very time-consuming. Support for even simple CSS varies considerably between clients, and even different versions of the same client. We’ve put together best practices to save you the time and frustration of figuring it out for yourself.